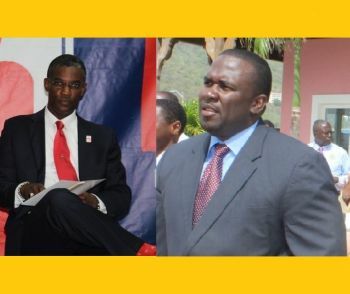 You are here: Virgin Islands News Online » News » Jr Ministers Marlon A. Penn & Archibald C. Christian sworn in; media snubbed! Jr Ministers Marlon A. Penn & Archibald C. Christian sworn in; media snubbed! ROAD TOWN, Tortola, VI- In a low profile affair today December 16, 2015, Hon Marlon A. Penn (R8) and Territorial Representative Hon Archibald C. Christian were sworn in as Junior Ministers, appointments that were first and accurately reported by Virgin Islands News Online. According to reliable sources within the secretive National Democratic Party, Hon Penn was announced as having the portfolio of Trade, Investment and Promotion while Hon Christian was handed the portfolio of Tourism. The Swearing In Ceremony reportedly took place at 9am this morning at the Office of the Premier, without the invitation of the local media. Sources also disclosed that both Junior Ministers will now occupy offices at the Central Administration Complex and will be assigned Private Secretaries. The new Minsters will not be members of Cabinet, but will assist in the performance of Ministerial functions relating to economic development. I knew, without a doubt, once this made vino some weeks ago it had some truth to it! I have no objection to the appointment, but why are our public officials soo private with the public's business. Don't we the people, who went to the poles and gave them these appointments have a right to any information. Hon. Premier, you need to come better than this. Alvera knocked off a giant of a man Omar wallace Hodge and she wasn't considered?? ...and they say we have no money. Archie too old to be a junior anything. Archibald might be a nice guy, but he's not in the running, Mitch should have been the next jr Minister. This is a low blow to the voters of the BVI. The sunshine government gone to sleep since they get back power you all do not need the voters now .It sure will have another election .MRS CAINES is getting treat as if she is not a member of the party .MRS CHRISTOPHER with the party before Johnny come .The leader is really a /// ///.What is this to hide if they hide this I wonder what is in the closet. What really is their new roll. Will there be an increase in pay.? Alvera I feel your pain. If they pick the comic above you. They really think you are a joker. You need leave them and join a new party. Your seat is sure. Don't take no more disrespect..Bus off. Run. Leave them. most interesting, relevant, or thought-provoking comment. I must express my disappointment in this. The two Ministries Education and Communications who are the worse run Ministries and needed the extra help seems to be exempt from these jr Ministers. 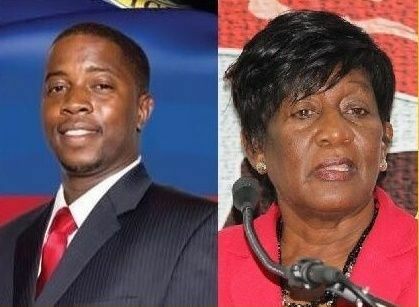 So it is clear they just pushed the both of them ( Penn and Archie) on Orlando showing that the other Ministers refused to get the help they so need. It's either they censor or they exclude...wellsah! Was this done to keep our minds off cline? Let me see if I understand this. Will Christian be required to give up his job with Smith's Gore? Will Penn continue to be employed as a consultant by Government with a salary of $250,000. a year which is in addition to his $100,000 as a back bencher? and what will the salary of a Junior Minister? Am I to understand that Civil Servants have already been notified that no increments will be paid as of January ? Only time will tell if the Government's finances which are in shambles will carry this extra burden.